So we can properly judge this foundation, let’s start with Lawless’ claims. There’s a bit of variation depending on whether you go to the Lawless Beauty site or the Sephora site, so we’ll go through both. Somebody’s gotta be accurate, right? 😄 Lawless Beauty claims that this foundation is lightweight, won’t fade or disappear, skin-nourishing without clogging pores, helps plump skin for a youthful appearance, shea butter helps soothe, soften and repair skin, it apparently promotes collagen production and protects from free radicals. Most relevant (for my purposes anyway) is that it has “medium to full coverage with a natural, skin-like finish that never looks cakey or dry on the skin.” The site also mentions a multitude of oils included in the formula. 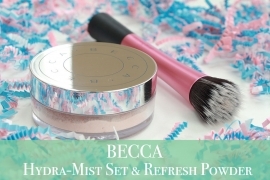 This description definitely makes me feel that it is best suited for drier skin types. However, if you check out Sephora, their description is a bit all over the place. It states it’s for sensitive, normal, dry and combination skins in one place, but suited for all skin types in another place. It claims full coverage with a radiant finish, but then it recites the Lawless description with a natural, skin-like finish elsewhere. Given the subtle discrepancies, we’ll lean towards the Lawless definition for evaluation purposes – lightweight-on-the-skin medium-to-full coverage with a natural finish targeted more towards sensitive and drier skin types. Now on to the review! Let’s start with the packaging and shade range. There are a respectable 20 shades available, however it definitely caters more to lighter skin tones in that there are a lot more options towards the fairer side of the spectrum (although I’m not sure that there’s something for the fairest of the fair), and then there are a few deeper shades available without much in the way of tonal differentiation. Pretty standard, but disappointing nonetheless. On a more positive note, the packaging is beautiful! The foundation is housed in a square matte glass tower with a satin black plastic cap. There is a black plastic pump, but it drives me crazy! It’s one of those pumps that you have no control over. To be fair, it seems to dispense the same amount of product every time, but I find that I like to use about one and a half pumps to cover what I want to cover, which means that I end up having to dispense two full pumps and waste a bunch of product. Not ideal, but not necessarily a deal breaker. 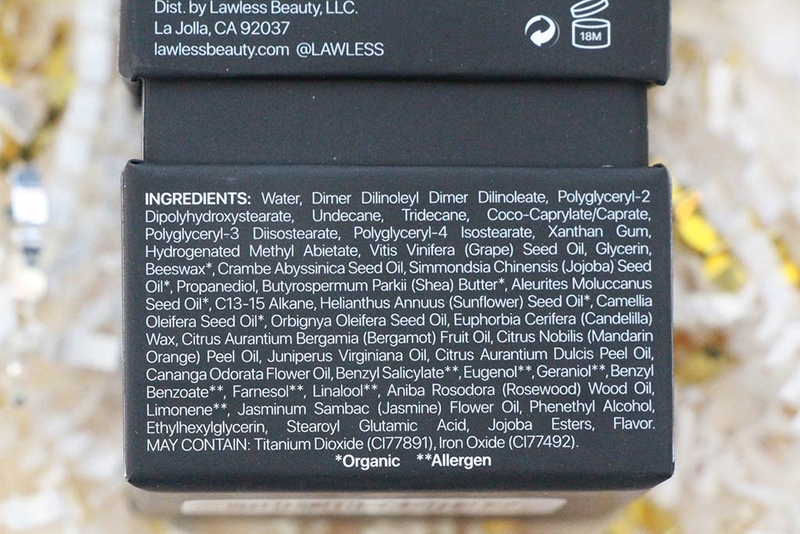 I’d have to say when it comes to shades and packaging, Lawless is heading in a good direction, but not quite there yet. On to the foundation itself. It’s an interesting consistency in that it’s slightly thick, but somewhat runny. I would agree that this is a medium-to-full coverage foundation…in fact, I think I would just consider it full coverage. 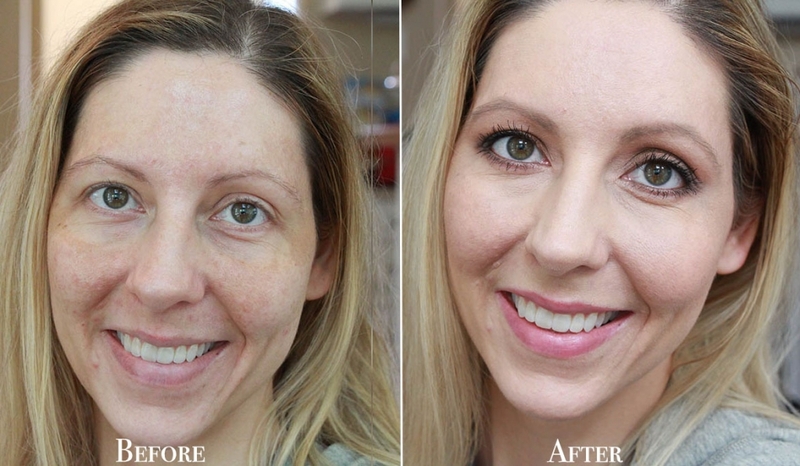 As far as natural versus radiant finish, it is definitely on the glowy / radiant side. You can mattify it a bit with powder, but it’s absolutely a dewy foundation, though that hasn’t shown in my photos. It feels quite hydrating, which seems fantastic if your skin is on the drier side, but oilier skins are probably not the best match with the Woke Up Like This Foundation. For my pretty much normal skin, I like the consistency and I do agree that it feels lightweight despite being so hydrating with such intense coverage. Just a quick note on the shade I have, “Sunrise,” which is described as “light with rosy undertones.” I feel like this shade is actually rather orange and looks way too deep for my skin tone. Somehow when I apply it, it seems to look like a decent match, though perhaps a bit yellow on me. Not sure what’s going on there, but I thought I would note that I don’t agree with the color description. Back to the application…. I prefer to apply it with a beauty sponge (still going with the Beauty Blender as my sponge of choice) because I feel like a brush makes the foundation look a bit more like foundation – it seems a bit like it sits on top of the skin. With a sponge, it seems to blend in better, but there’s just something I can’t put my finger on that doesn’t look right. To be fair, it looks pretty good right after application, but within an hour or two it just doesn’t seem like it’s getting along with my skin. It doesn’t exactly look like foundation. It’s not heavy. It just somehow doesn’t look like it’s meshing with my skin. I wish I could explain why or how, and though it doesn’t look bad, something about it just never looks great. 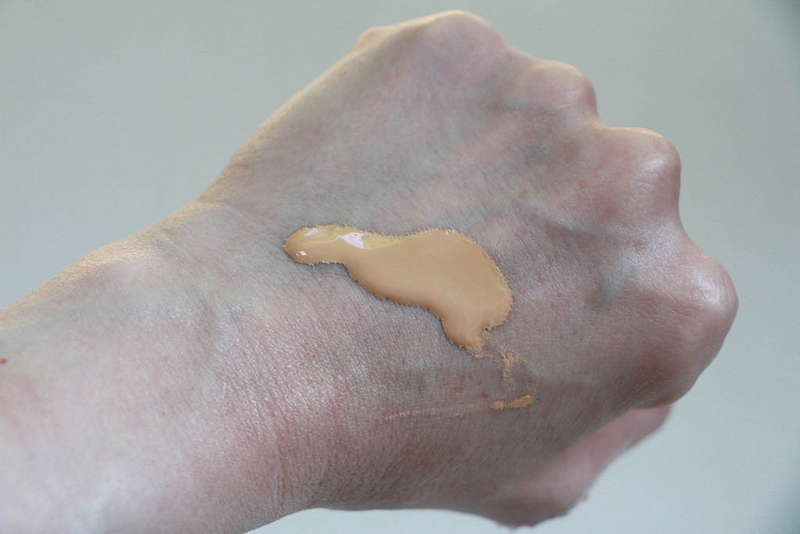 If you’re looking for a transfer-proof foundation, skip this one! 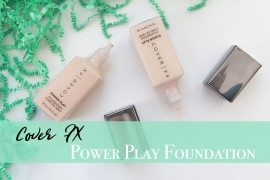 No matter how I powdered or what I powdered with this foundation just would not stay put. I would find that it was mostly intact at the end of the day, but every time I touched my face, my fingers had a bit of foundation on them. Sadly, my face would sometimes have a smeared spot as well. I could easily fix the disturbed coverage by blending the area a bit with my fingers, but it was really frustrating. Like I said, it did somehow seem to last alright despite the lack of transfer-resistance. I tend to be rather cautious with my face if I’m wearing foundation, but I do still rest my chin on my hand, scratch at itchy spots when necessary, and I have napped while wearing this foundation without issue. So in one sense I didn’t have much trouble with fading, aside from around the sides of my nose which is pretty common, but the constant transferring of foundation and having it move about on occasion and leaving behind blotchiness is kind of a deal breaker for me. Add to that the intense oily look that started a few hours into wearing the foundation and getting progressively worse by the end of the day, I eventually settled on not liking this foundation. 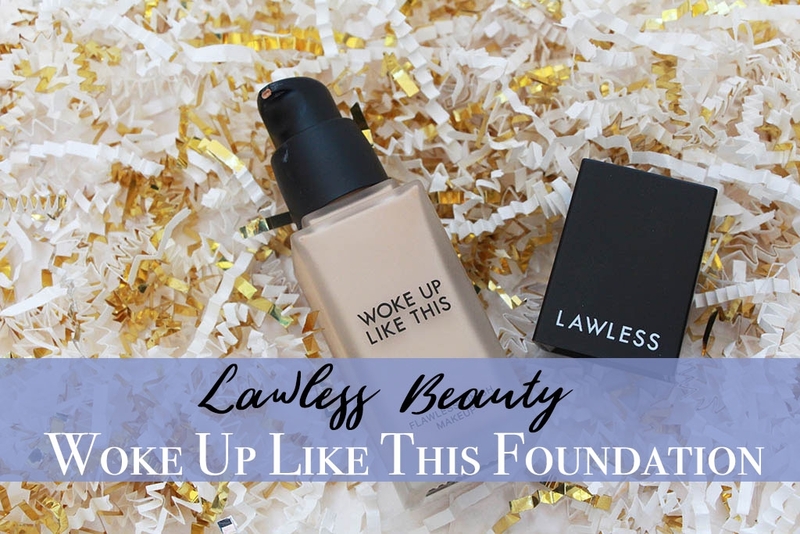 I tried and tried and tried to find a way to make it work, but I just don’t love the way my skin looks throughout the day when I wear the Lawless Foundation. 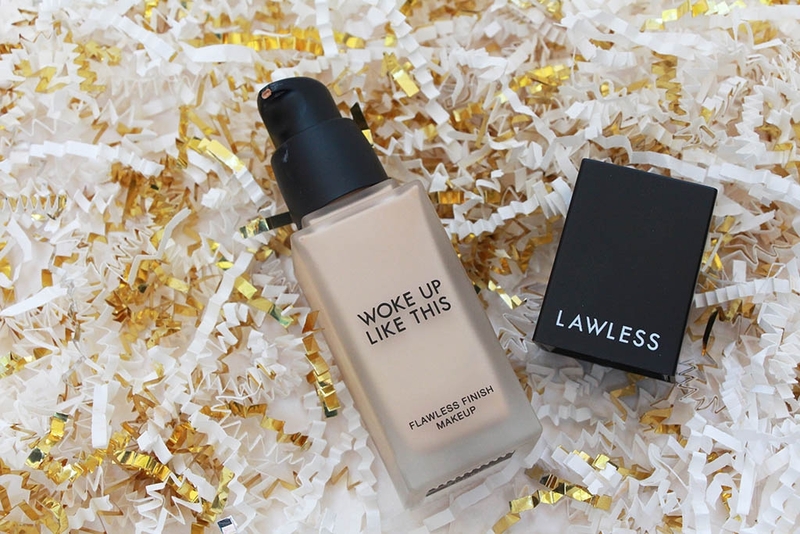 To wrap up, I feel like the Lawless Beauty Woke Up Like This Foundation is a great formula for dry skin types looking for a medium-full coverage, radiant, dewy finish (a rarity in the world of foundations actually!). However, if you have any flakiness, it might be an issue. If transferring drives you insane, pass on it as well. If your skin never gets shiny as the day goes on, maybe you would have better luck than I, but though my skin never felt greasy by the end of the day, it usually looked it…no matter what I did to set it. 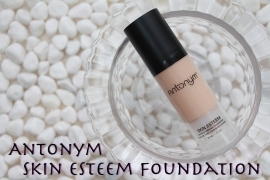 I do feel this is a foundation that you’re going to need to set no matter what – it feels a bit tacky after application and, as mentioned, it transfers like crazy. Alas, I just never loved the way this foundation looked on my skin despite the fantastic coverage and nice, lightweight feel. I feel like there is the potential for greatness within the beautiful bottle (though the uncontrollable pump drives me crazy! ), but something is just not quite there. 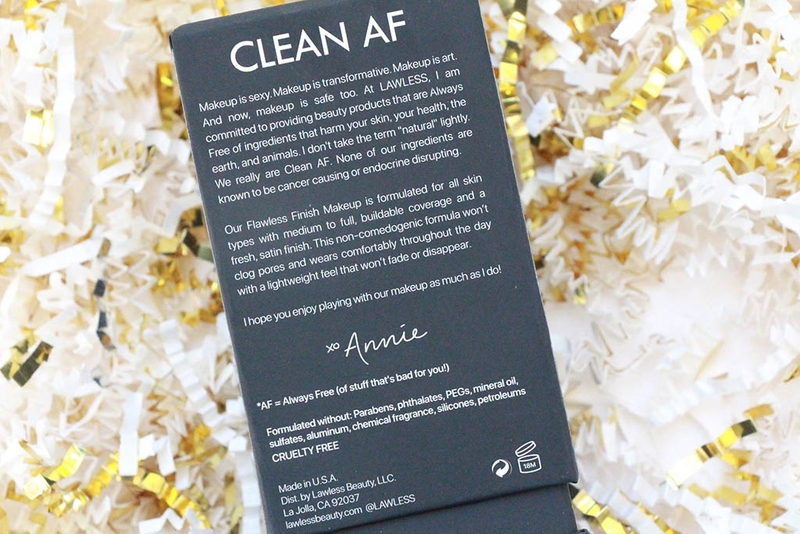 Though I’d love to be able to recommend this “clean” foundation, I just can’t…but I’m hopeful that there are more great things to come from this relatively new brand! 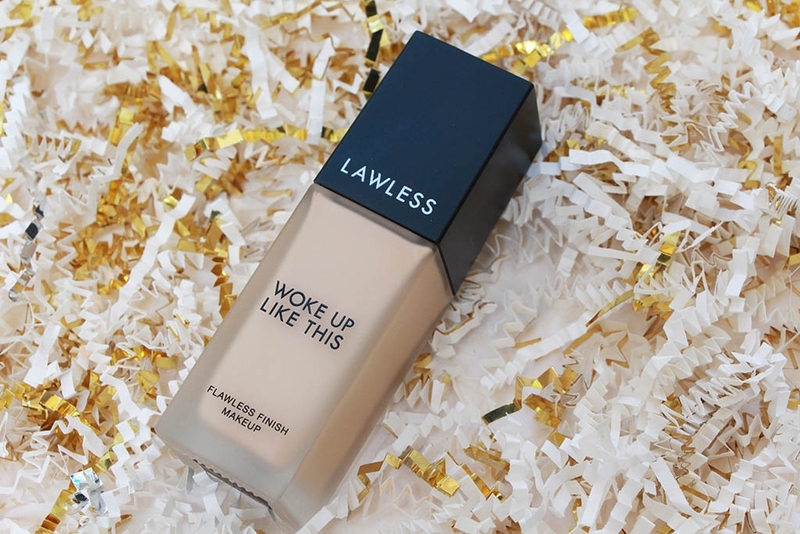 The Lawless Beauty Woke Up Like This Foundation retails for $46 and contains the foundation standard 1oz / 30mL of product in a matte glass, pump-topped bottle.